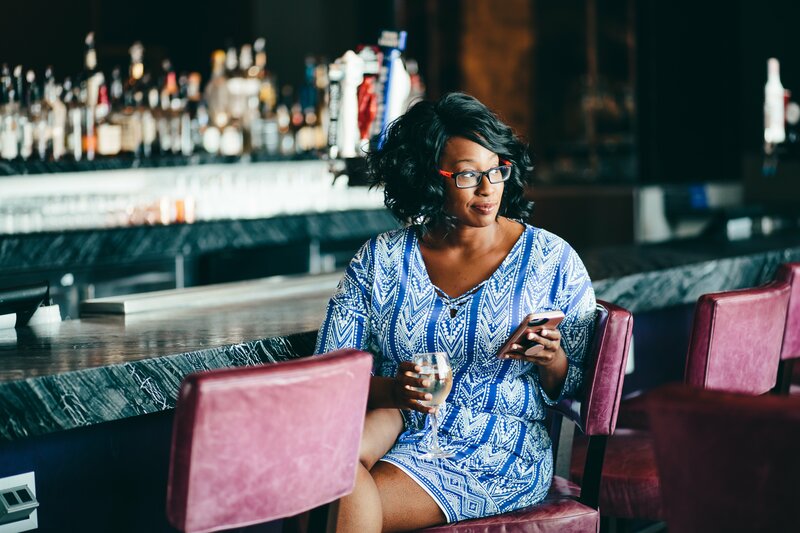 For a busy mom like me, spending a night exploring Southern California meant I would finally get time to unwind and catch some much-needed “me time” without jumping on an airplane or even spending a lot on gas. I could pack an overnight back, hit the freeway and be relaxing poolside with a cocktail in less than an hour. Those are the kind of vacations dreams are made of. The Loews Hotel Hollywood is right smack in the middle of all the Hollywood action. 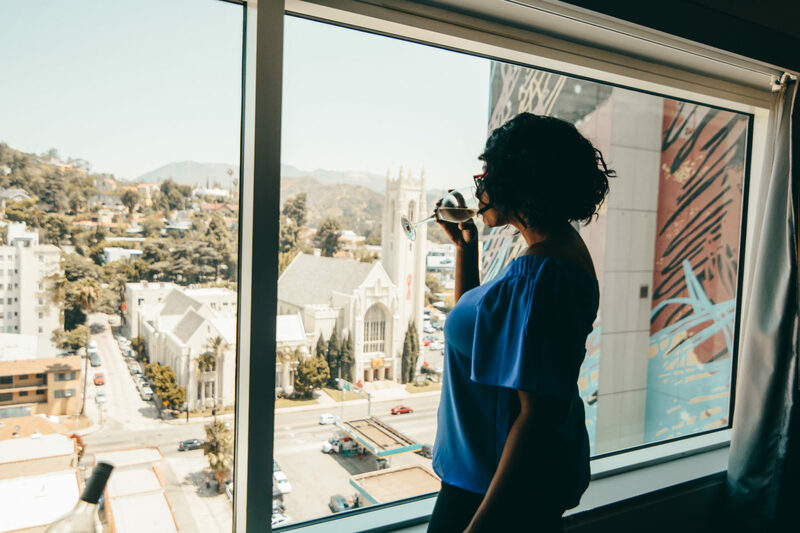 If you’re a movie buff like me then you might already know about the Loews Hotel Hollywood since it’s connected to the famed Dolby Theater which hosts the Oscars every year. 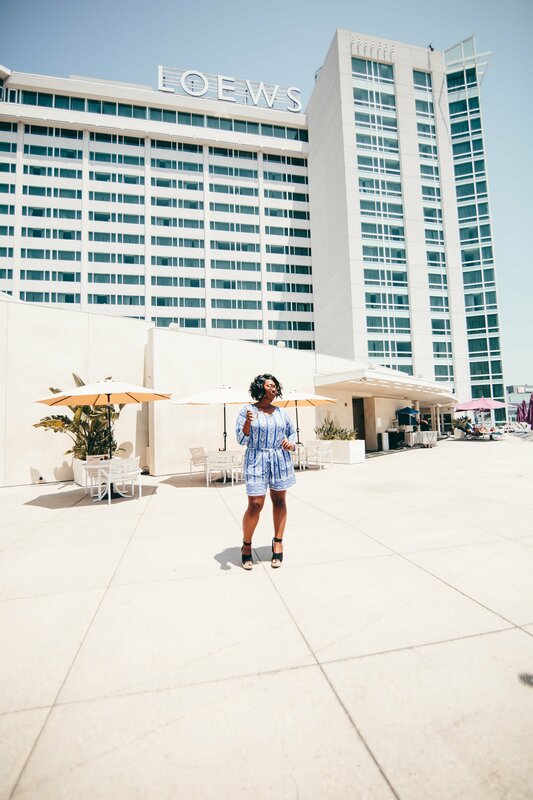 During Oscar weekend, all 628 rooms are booked, so to be occupying the same space many of Hollywood’s elite have roamed was quite exciting, to say the least. I also got the chance to enjoy the hotel’s pools which seriously, was exactly what this tired momma needed and exactly what that doctored ordered! 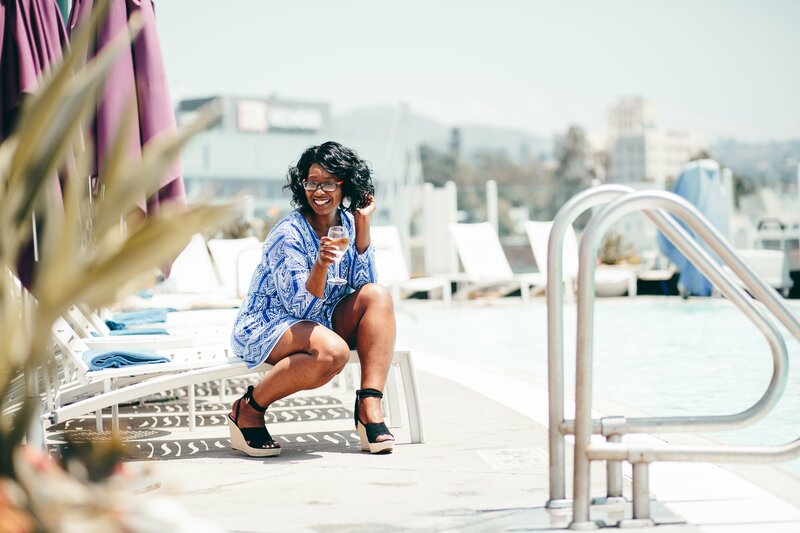 Okay, so none of my doctors actually told me to head to the pool, but they do recommend you take some time to cool off and relax in order to lower your stress levels. 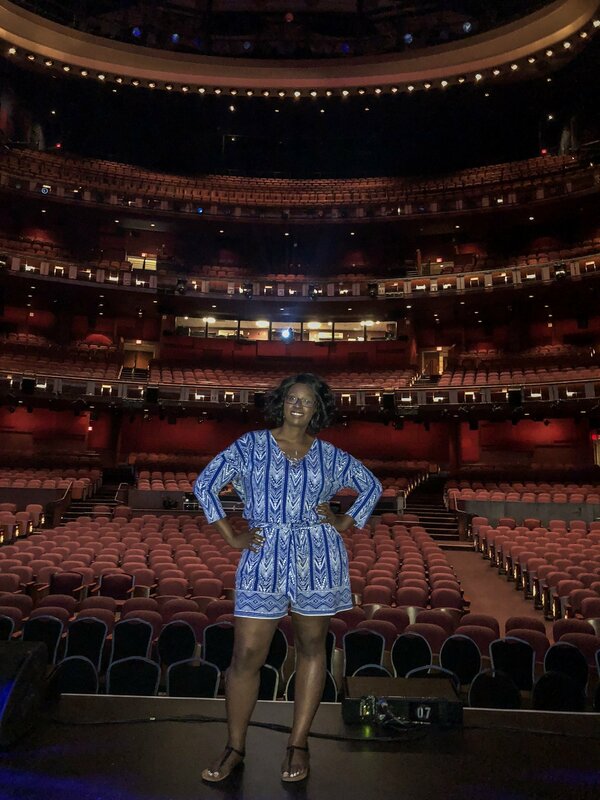 While staying at the famed Loews Hotel Hollywood, I also got a special behind the scenes private tour the Dolby Theater where the Oscars are held every year. Did you know that the Dolby Theater is in the middle of a Hollywood landmark? Yup, Hollywood and Highland where you can stargaze and shop all at the same time? 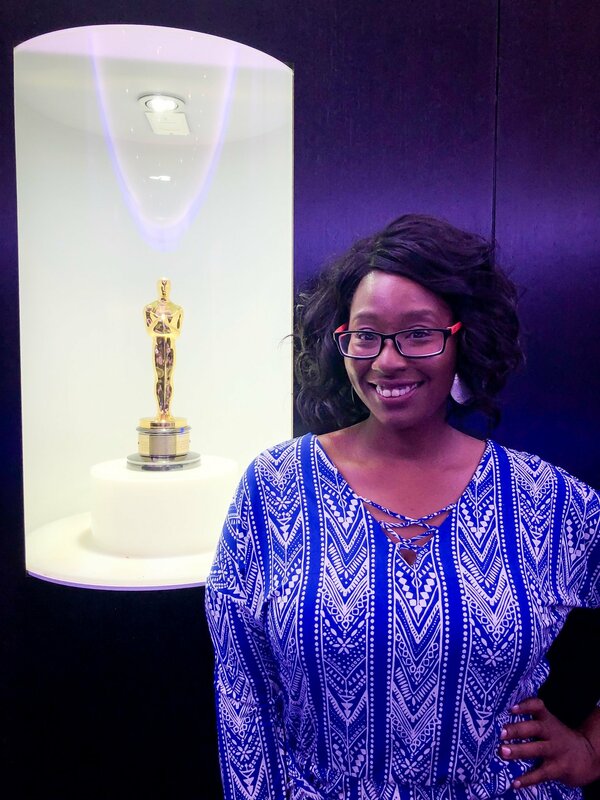 While touring the Dolby Theater, I got the chance to visit the VIP bar area used during the Oscars and view a real Oscar as well as take the stage and see what it feels like from the stars perspective as they walk across that stage to collect their Oscar. Moments like this are priceless and make this tour worth it. I was also shocked to discover there is an “Oscar Walk”! 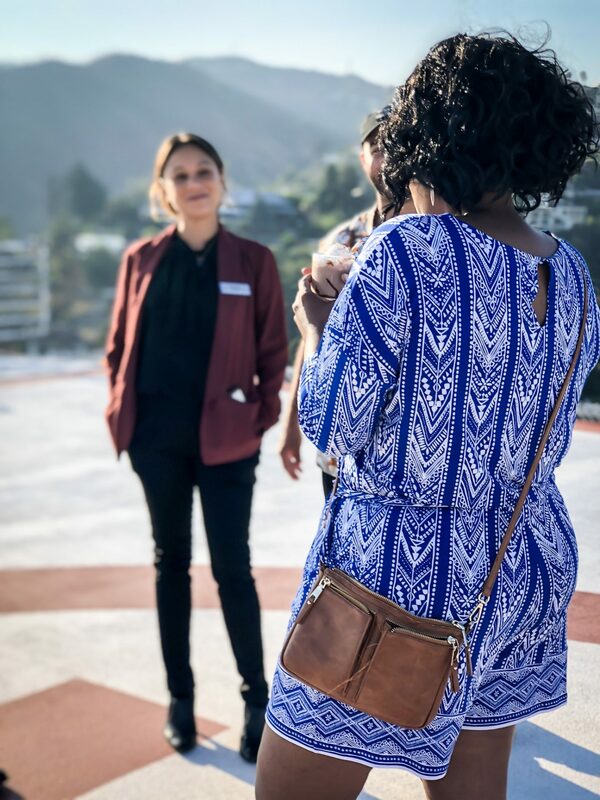 After each person wins their Oscar, they are shuffled off behind the scenes where they walk from the Dolby Theater connecting with the press and snapping photos along the way until they end at the Loews Hotel Ballroom. All in all the walk takes about 30 minutes and is filled with iconic photos of past winners along the way. I was excited myself during the walk so I can’t imagine what some of my favorite celebrities like Viola Davis, Emma Stone, and Mahershala Ali felt when they actually won. This is a once in a lifetime opportunity and this tour should not be missed. Surprisingly, the Not Your Mother’s Milkshake is not over the top sweet. 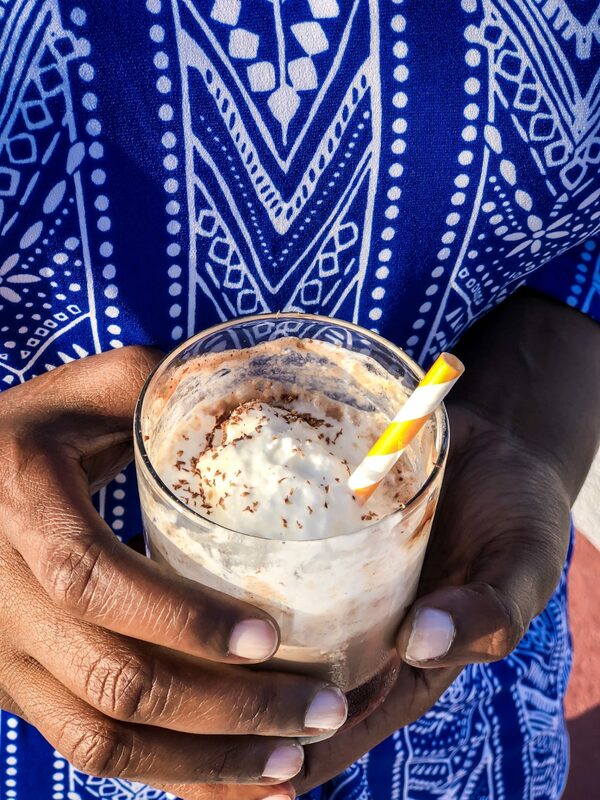 It’s made with their amazing Chocovivo syrup, Myers Rum, Baileys and it’s top off with whipped cream and freshly grated chocolate from Chocvico. Did I mention they served it to me on top of a freaking HELICOPTER pad…yes, you read that right…a helicopter pad! Talk about spoiling a girl. 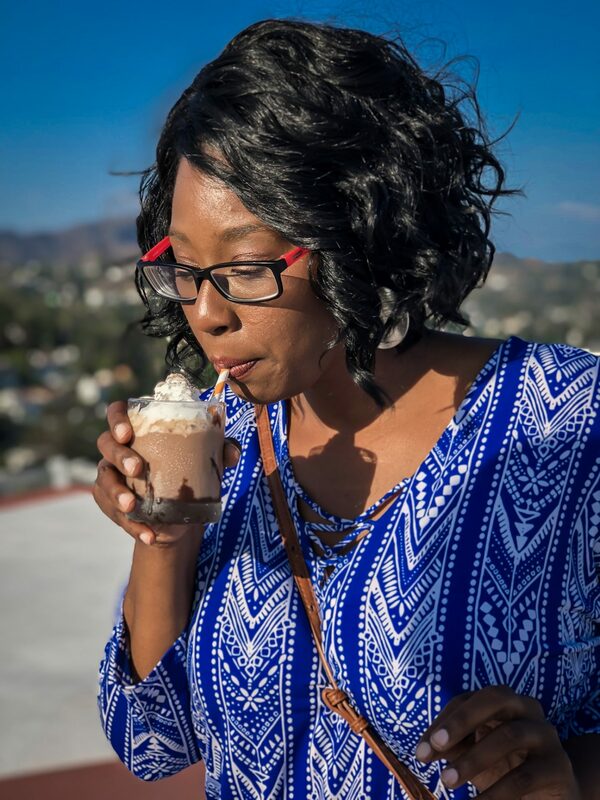 It was the best chocolate “milkshake” I have had in my life and when (not if) you make it to the Loews Hotel, you have to order it. 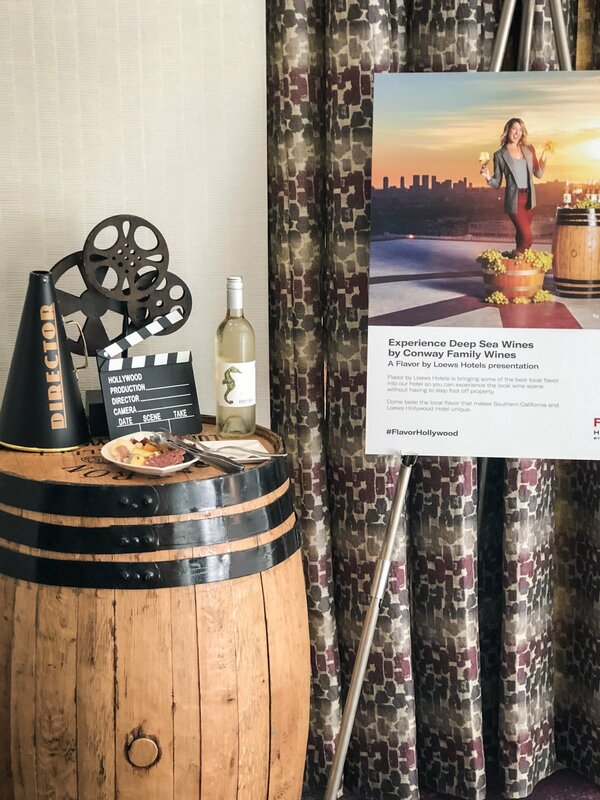 Next on the agenda was wine sampling from their Flavor Partner Conway Family Wines (a sister-brother family own business), which makes wine exclusively for Loews Hollywood. It’s the Deep Sea Sauvignon Blanc, made from grapes grown in the Conway Family’s Santa Barbara California vineyards. The wine made my palate and me very happy. 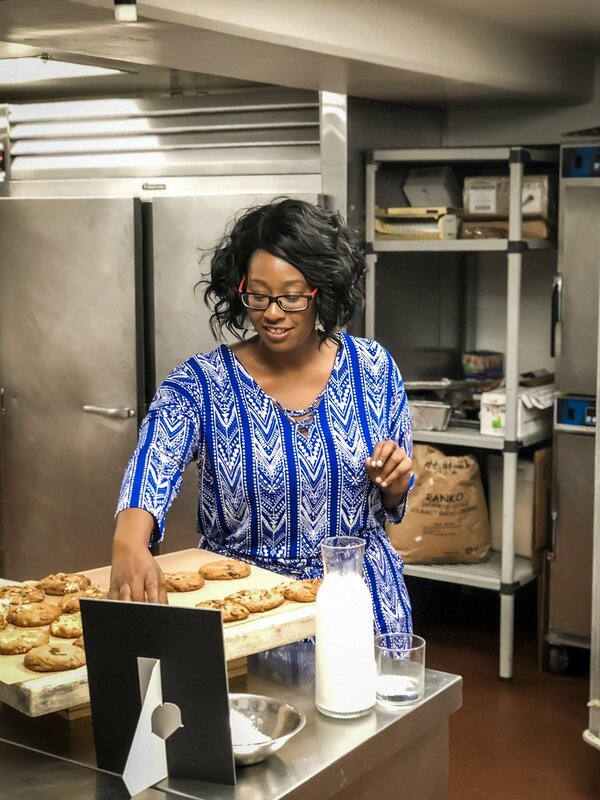 Next, I am a HUGE dessert fan, especially cookies so I’m always excited to see what other bakers are doing in the cookie arena. So, imagine how excited I was to discover one of their Flavor Partners was none other than Duidough Cookie Lab. 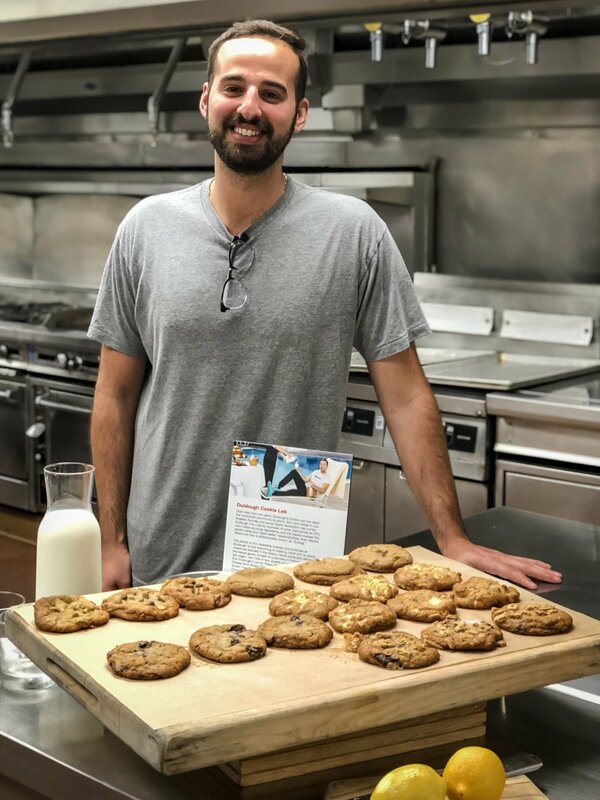 Duidough Cookie Lab is run by David Vanlochem a former tech guy turned cookie entrepreneur who started his business going door to door in Los Angeles offering samples to local business! Not only can I appreciate his hustle but man his cookies are amazing. Just one glance at them and you can tell these are not your supermarket cookies.